My PADI instructor taught me when I was first learning to dive that when I see a shark I should remain calm and slowly swim away. In the years since I have had the good fortune to swim with sharks in The Bahamas, Micronesia, and the Great Barrier Reef, and to be honest I have found this advice unhelpful. The sharks always swim calmly away from me! It is very difficult to talk about shark conservation without talking about fear. Sharks eat people. Sharks are killers. People are afraid of sharks and many think that the only good shark is a dead shark. Obviously, this has not been my experience. I have never felt uncomfortable or afraid when there were sharks in the water. But I live on a tropical island in the middle of the Pacific Ocean and have been swimming with sharks -- even if I couldn't always see them -- since ever since. Shark conservationists say that there is no need to be afraid of sharks. They say that sharks have more to fear from us than we do from them because on average about 5 humans are bitten and killed by sharks each year. In the same year, tens of millions of sharks are killed for their fins. Yet despite the statistics, we are fascinated and frightened of sharks. In fact, our fear of sharks pops up in the strangest of places. While the winds of Hurricane Sandy were still gusting, a photo of a small shark swimming in a flooded front yard started spreading virally across the Internet. This is not the first time such a photo has appeared after a big storm. 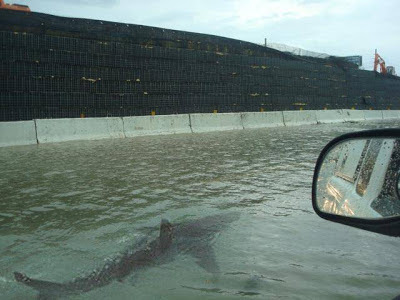 Last year in the aftermath of Hurricane Irene, a photo of a great white shark swimming down a flooded street made the rounds. These photos turned out to be hoaxes, but the scenario is strikingly similar to a new Australian film called Bait 3D. In the film, a group of people find themselves trapped underwater inside a supermarket after a tsunami with several man eating great white sharks. I haven't seen the entire movie yet, but I imagine it is at least as good as Shark Night 3D. But is something like this even possible? Are sharks even able to survive in murky flood waters? Is this something we should really be afraid of? The scary answer -- or the awesome answer depending on how you feel about sharks -- is yes! For the last 17 years at the Carbrook Golf Club in Brisbane, Australia, a half dozen bull sharks have been swimming in the water hazard by the 15th tee. The sharks became stranded after a flood and have been trapped ever since. Six marine apex-predators trapped in a small fresh water lake? I'm not going to admit to being scared, but perhaps these sharks should only be viewed from shore. 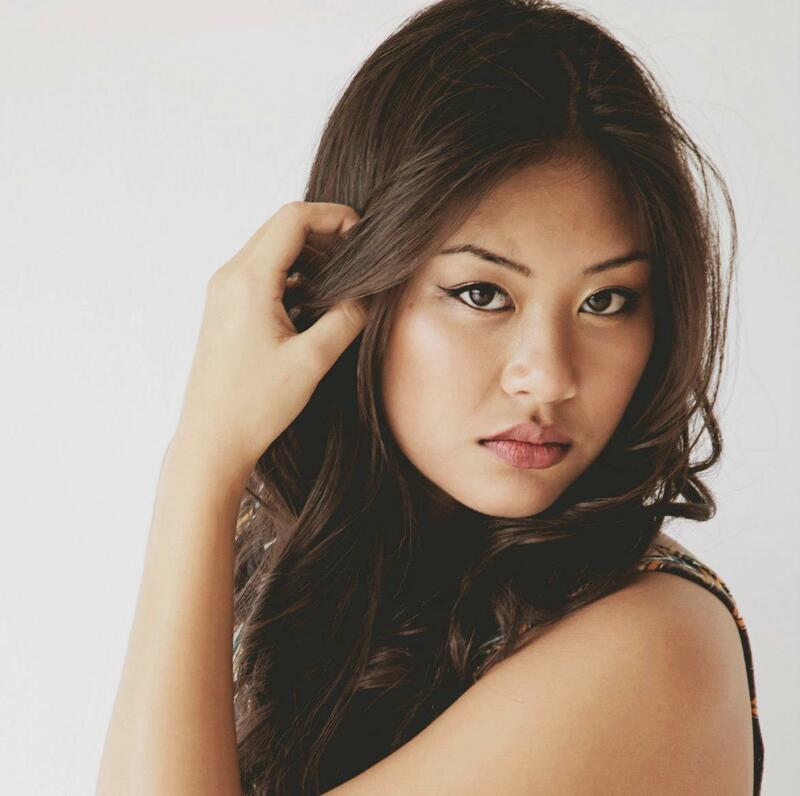 Alyssa Sablan is Shark Defender's student intern.